Claffey Pools constructed their 8,000th pool. Claffey Pools celebrated their 6,000th pool during their 25th year in business. 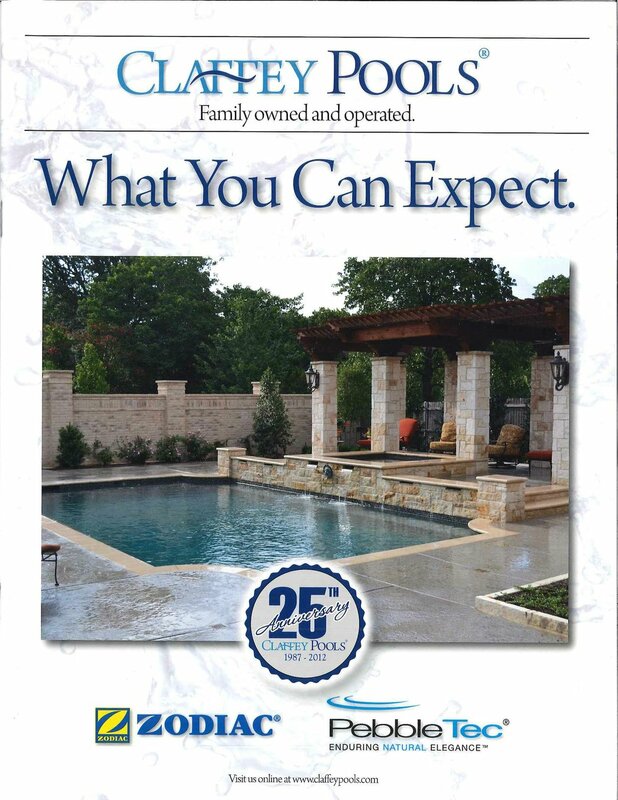 Claffey Pools ended the year as the 12th largest pool builder in the United States and the largest in North Texas. Developed a proprietary computer-based pricing model that guarantees accuracy and timely pricing (within just 10 minutes). Claffey Pools constructed their 5,000th pool. Paul constructed pool #5128, which was the second pool for his first customers, The Daniels Family. Claffey Pools received the Better Business Bureau's Golden Torch Award for Marketplace Ethics. First of 32 regional award by Association of Spa & Pool Professionals, including one Best in Show. First of 18 International award by Association of Spa & Pool Professionals. Claffey Pools constructed their 4000th pool. First "Best of the Best" Pool Company by Colleyville Courier, Grapevine Courier, Southlake Journal: 7 consecutive years. Paul and Barb retired completely and sold the company to Charlie, Shelly and Brian. #15 in 15 Largest Metroplex Swimming Pool Builders. Claffey Pools Received the prestigious Community Commitment Award from The Baylor University Institute for Family Business. Barb Claffey created a three-part tribute to honor the Americans who lost their lives on 9/11, and to honor the men and women who risk their lives in service to our country, with many of them giving their lives to preserve our freedom. Claffey Pools has continued the tribute of placing 2,998 American flags in front of the office each Memorial Day, July 4th and September 11th. Claffey Pools Constructed their 3,000th pool. Claffey Pools moved to its present location at 1625 Brumlow in Southlake. Claffey Pools constructed their 2,000 pool. Claffey Pools moved to its first out-of-home location at 923 S. Church Street in Grapevine. Addition of even more non-family members. Claffey Pools constructed their 1,000th pool. Paul convinced his wife Barb to leave her successful real estate career to join the company as Human Resources Manager. Paul offered a financial interest in the company to his children Charlie, Shelly, and Brian if they would all three work at Pools by Paul Claffey. 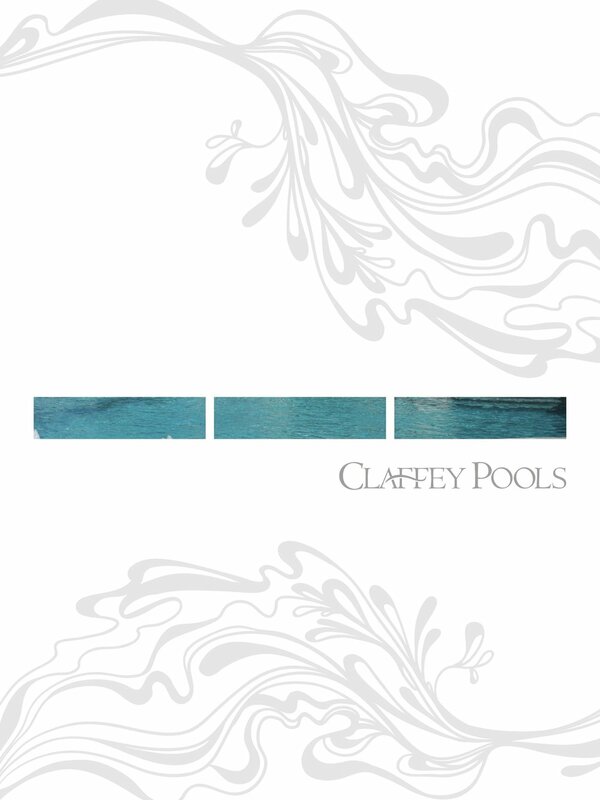 He developed a succession plan through which to sell the company to them and changed the name to Claffey Pools. Paul hired his first non-family employee, Jim Reynolds. Pools by Paul Claffey constructed their 100th pool. Daughter Shelly joined Pools by Paul Claffey as secretary, permit runner, and accounts receivable collector. Paul opened Pools by Paul Claffey as a two-man operation, officing out of his home in Hurst Texas with son Brian. Paul constructed his very first pool for The Daniels Family.